As spring comes around on the Tennessee River, it would not be complete without a trip to Wheeler Lake. This is Alabama’s premiere spot for some fantastic smallmouth bass and some great largemouth bass action. * Wheeler Lake is Alabama’s second largest, man made impoundment. 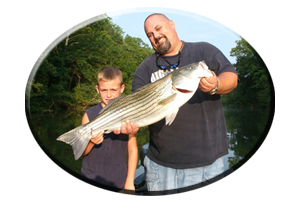 At 68,300 miles of surface acres of water and 75 nautical miles from Guntersville lake dam, to lower Wheeler Lake dam, there are many places to fish during March, April and May. Wheeler Lake is also fed by the incoming Elk River and the lakes mid section displays it to be a dynamic milfoil and hydrilla aquatic weed fishery in the spring season. There are a variety of fishing situations to be found throughout the entire lake during the spring season. This huge, Tennessee River Impoundment has a lot to offer for anglers from all over the globe, that come to fish here this spring season. With lake levels still down, as much as 4-5 feet in early March, there is a much smaller lake to explore until the lake is returned to full pool in April. The lower end of Wheeler lake shows it has many feeder creeks and much deeper water than the mid to upper lake’s sections. It shows to be much less pressured by hopeful anglers in the early part of the spring season as well. 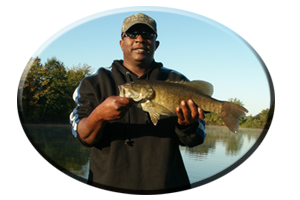 First Creek and Second Creek, both located near the lower Wheeler lake dam and Spring Creek, situated right across from the mouth of the Elk River, all show excellent pre-spawn bass fishing opportunities. These are great places for targeting both trophy-sized smallmouth bass and for finding some of the lake’s biggest largemouth bass. 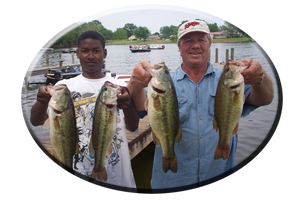 Either of these bass species can be caught during March when fishing these precise spots with a variety of lures, fishing from top to bottom. Always try first and secondary main lake points and creek points, the outside bends in winding creek channels, offshore river ledges, rock bluffs with shallow cuts and pockets. Anglers should especially target (several places) featuring drop-offs near shallow spawning grounds in all major feeder creeks that are possible. This includes targeting small pebbled bottoms, or sandy bottomed flats, on the lower end of the Lake. Rotating your travels along several similar places will aid an angler in finding the best time to be on certain spots during the day, for returning on future trips to Guntersville lake in March. Crankbaits, jerkbaits, spinnerbaits, lipless lures, Texas and Carolina-rigged plastics, and jig combos, will all generate strikes in these areas during March. Even topwaters work during warming trends. Smallmouth bass can be enticed with smaller lures. For these can be very finicky feeding bass during the month of March. The Elk River feeds the lower end of Wheeler lake. It has several bridges along its winding path through miles and miles of stump flats, laydown trees, rock bluffs and main river flats showing scattered log jams along deep drop-offs. Many side pockets are found just off this Elk River. They have points leading into them, for finding big pre-spawn smallmouth bass mingling with some big largemouth bass. They can gather in abundance in these small cuts and pockets and they begin holding and around wood cover and rock cover during these pre-spawn conditions as early as the first week of March. Scattered logs, stumps and brush piles are found in these small pockets, and they are refuge for some Big Bass in March. Use caution when navigating this Elk River during the lakes low water conditions found in March and early April. It is loaded with unseen hidden obstacles, that are always bad for boats and people. April is when the lake levels are slowly returned to full pool. 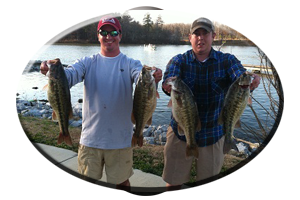 Water temperatures warm into the 70′s and Wheeler Lake’s bass will commence into the spring spawn. The milfoil and hydrilla weeds found at midlake areas near Decatur launch are not hard to find. They are called Decatur Flats. Just look for a dozen or more boats, all gathered in one area, below the Interstate 65 bridge crossing. These bass (like Guntersville Lake’s weed dwelling bass, move into these newly-growing early season aquatic weeds. As the lakes waters warm, these bass can be found very shallow often in the most out-of-the-way places. Anglers that push pole or troll their boats across vast main lake flats, will find bass in water as shallow as one foot deep. Secure far from the maddening crowd. Lures for these weed oriented bass should, of course be weedless. For less frustration losing costly lures and less lure hang-ups. Frogs, rats, floating worms, lizards, weedless spoons, soft jerkbaits, spinnerbaits and buzzbaits, are all proven lure favorites during April on these bedding bass. Try fishing right in the bass beds. 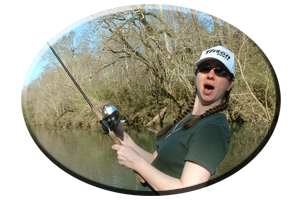 Spotting bass and beds is much easier with polarized sunglasses. You can see some very aggressive strikes from these bedding bass of April with worms, lizards, gitzits, tube lures, creature type lures, jig combos, swim baits and plastic crayfish imitations. * Remember to practice catch, photo and release this spring season. As bass come off the beds they have many choices for choosing choice ambush spots when feeding to regain their needed strength. Creeks with newly growing weeds will have many bass in the post-spawn recuperation mode. Milfoil and hydrilla aquatic weeds will be in full bloom and getting thicker in May. Also wood cover in the lower Elk River (including its feeder creeks and many small pockets), will now seem to have a bass on each piece of wood cover. Rock bluffs have first and secondary ledges that smallmouth bass love to bed on. These bluffs can have big individual bass and they will almost always have schools of hard-fighting bass that suspend all along them. Points on rock bluffs are good, as during the pre-spawn period, as bass head back to deeper water along these rocky stop-off routes. Milfoil and hydrilla grass will get a lot of attention from trophy-seeking anglers. Most of these astute bass anglers are targeting small holes, lanes, points or other irregularities within these thick weeds. At times it takes precise casts, along with utilizing long casts, far past your intended target with weedless lures like frogs, rats, floating worms, spoons, spinnerbaits, buzzbaits and soft plastics. These lures will always be productive during the month of May, “topwater time” on Alabama’s Wheeler Lake.